Book now for 2017 / 2018. The Hogs Head is a beautifully restored stone barn, nestled in the heart of rural Monmouthshire along Offa's Dyke near Whitecastle. Refurbished to the highest standards with exquisite stone work and beautiful oak beams and panelling. The wood burning stoves and flagstone floors are nothing short of spectacular. 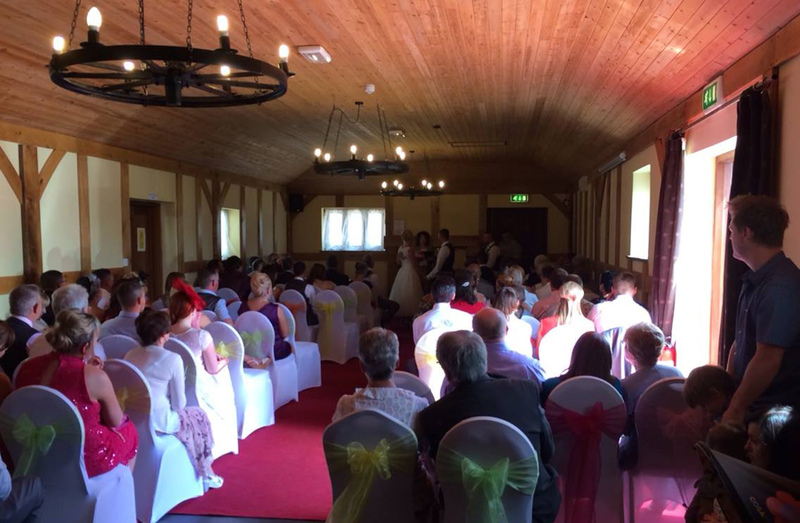 Set in beautiful and spacious grounds the Hogs Head is an ideal venue for your wedding or civil partnership ceremony. 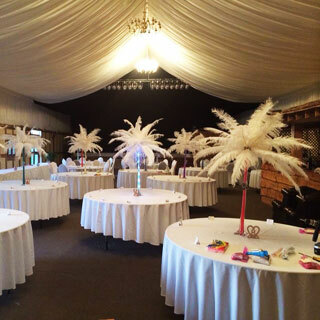 We offer a choice of four licensed areas each with their own unique character, from the small and intimate to the large and spectacular. 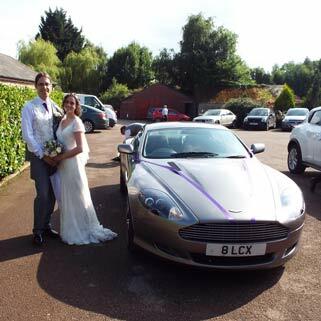 We are able to host civil ceremonies on any day of the week except Christmas Day and Boxing Day. 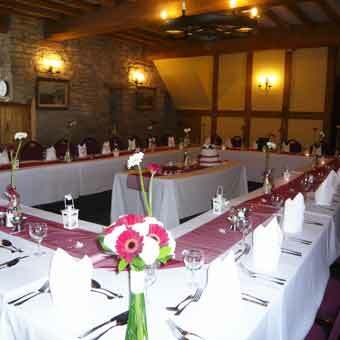 Our 'Long Room' is ideal for comfortably seating 80 persons, with beautiful oak panelling and a wood burning fire. 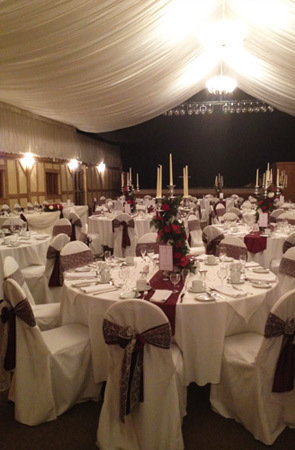 Our main banquet hall can seat up to 300 guests, with beautiful oak doors that lead to the private rear garden. 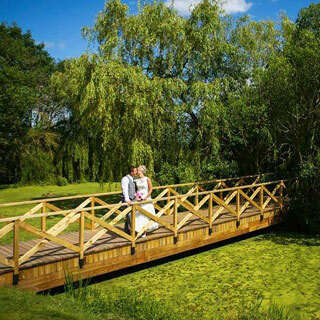 In 2014 we set about constructing a wooden bridge over our large pond area. The result is nothing short of breathtaking. 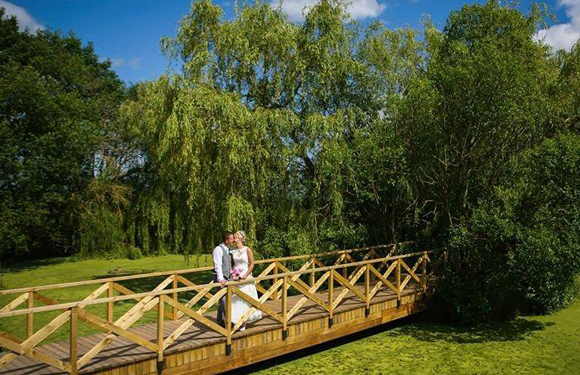 What could be better than to have a beautiful photograph of the newly weds standing together on an enchanting wooden bridge? 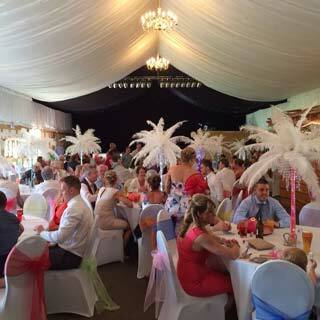 If you would like to provide your own swans to complete the fairytale scene feel free to do so! These will be photographs for you and your family to treasure. 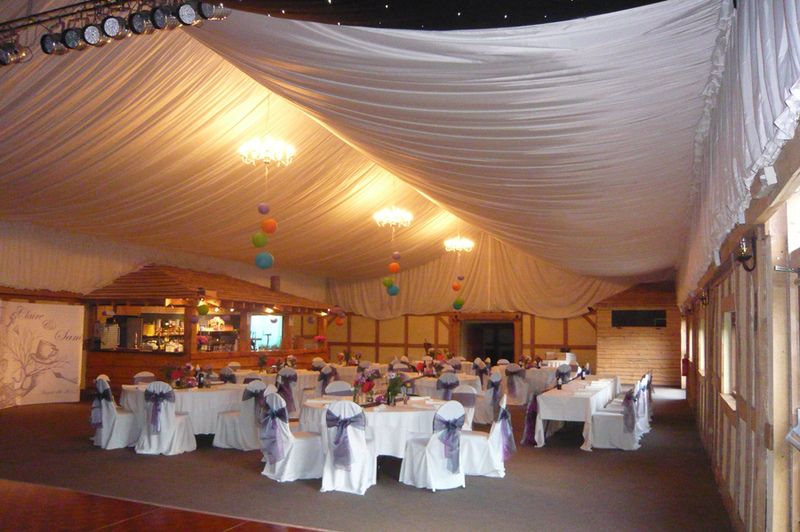 For the perfect Wedding Venue in South Wales - you need look no further. 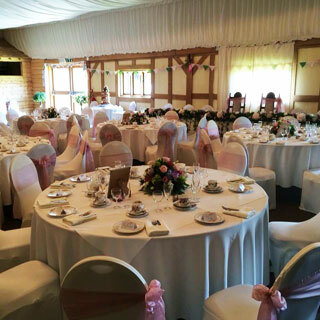 We pride ourselves on our attention to detail and the high level of personal service that we offer and we understand how much work is needed to organise your wedding day, appreciating that each and every wedding is unique. 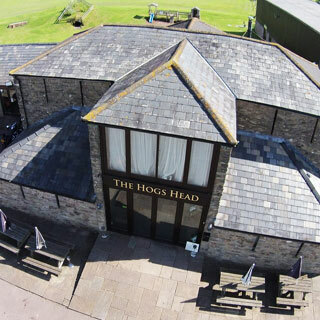 A truly warm welcome awaits you and your guests at the Hogs Head. 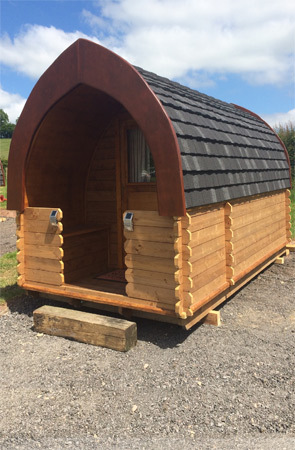 There are many guest houses and B&B's in the locality and we are only 5 miles from Abergavenny where there are numerous hotels for your guests to choose from. 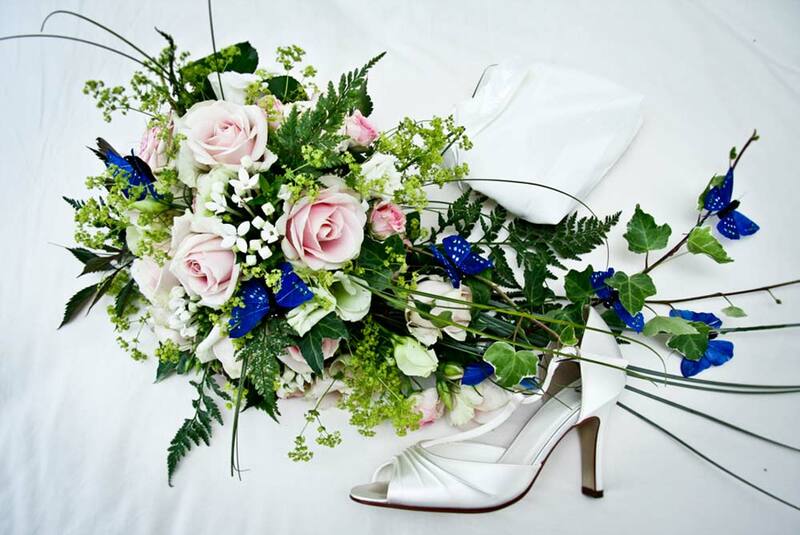 No two weddings are the same we believe that a wedding should be as individual as you are. We will work with you to achieve your desired style. 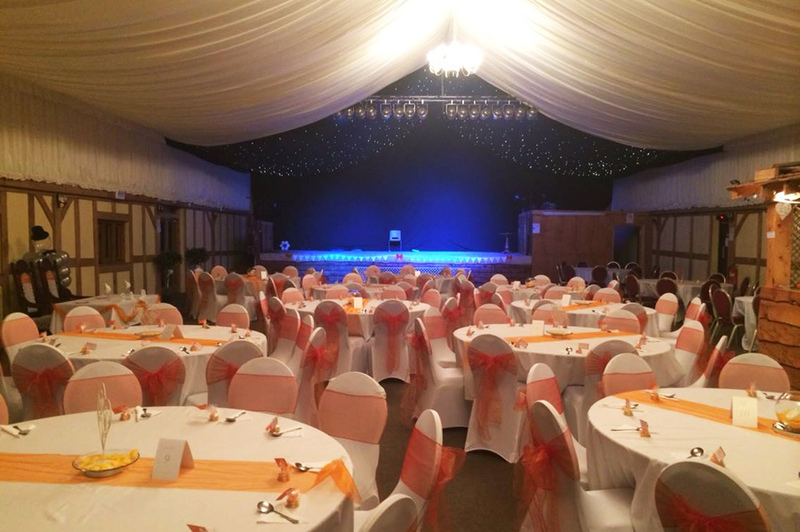 All elements of your event can be tailored to suit your specific requirements. Our bar areas serve a wide range of alcoholic beverages and soft drinks. Please note that corkage fees apply if supplying your own wine or champagne. See what people are saying about The Hogs Head Pub. 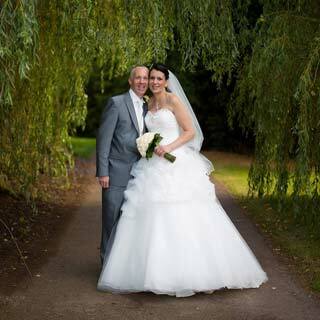 Steph and I , would really like to thank Dale Jones and his family at the Hogs Head for making our wedding day so special. 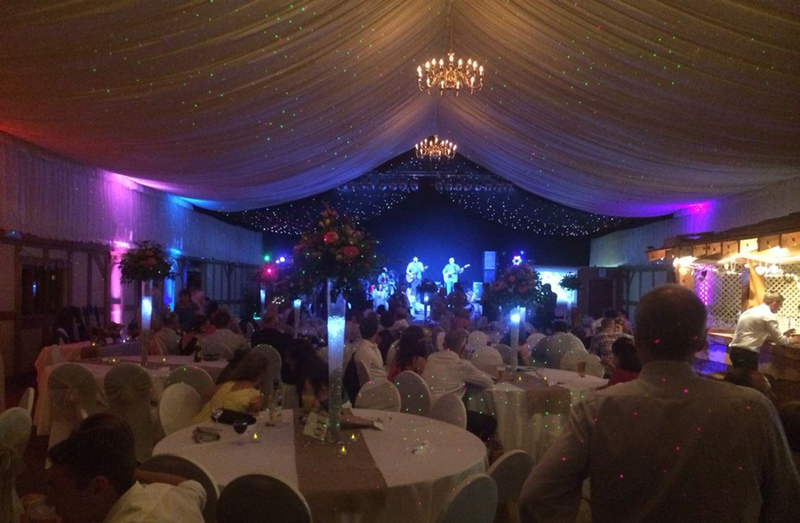 Everyone commented on what a beautiful venue & your hospitality. 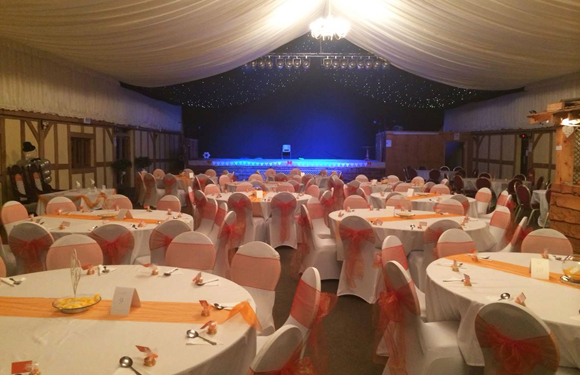 The venue was fantastic and looked amazing. 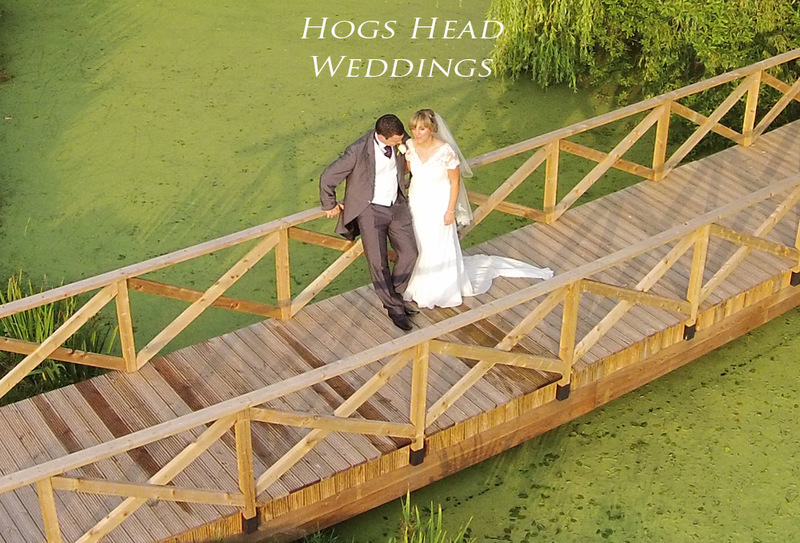 If anybody is looking for a wedding venue I would highly recommend the Hogs Head. What an amazing weekend! I am shattered but couldn't be happier after marrying my dream lady, Hannah Bisgrove! Big thanks to everyone who helped us celebrate our special day and to Dale Jones and his staff for hosting us! 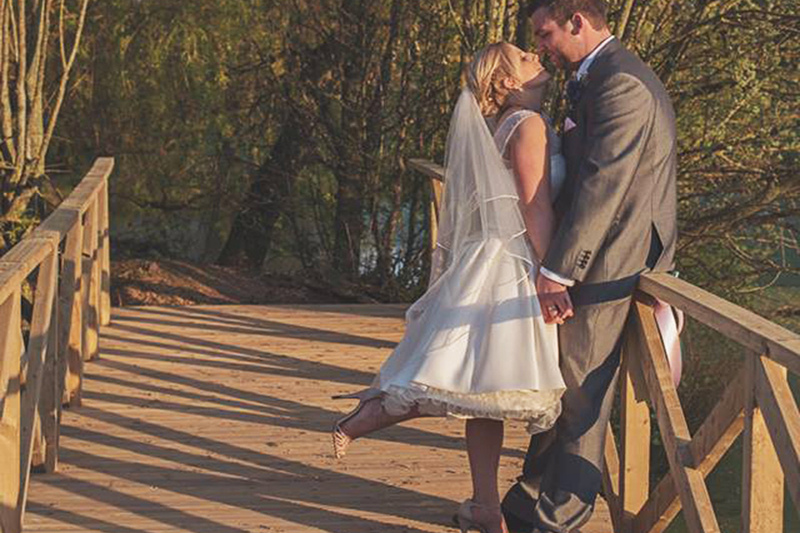 Our wedding day was just perfect from beginning to end. The Hogs Head is such a lovely place and we were given such a warm, friendly service. 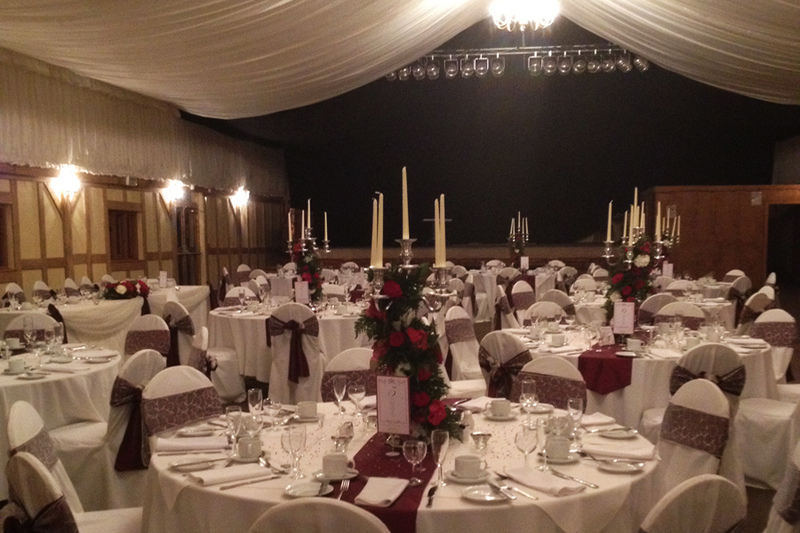 The large barn was beautifully decorated and accommodated our 200 invited guests with ease.. 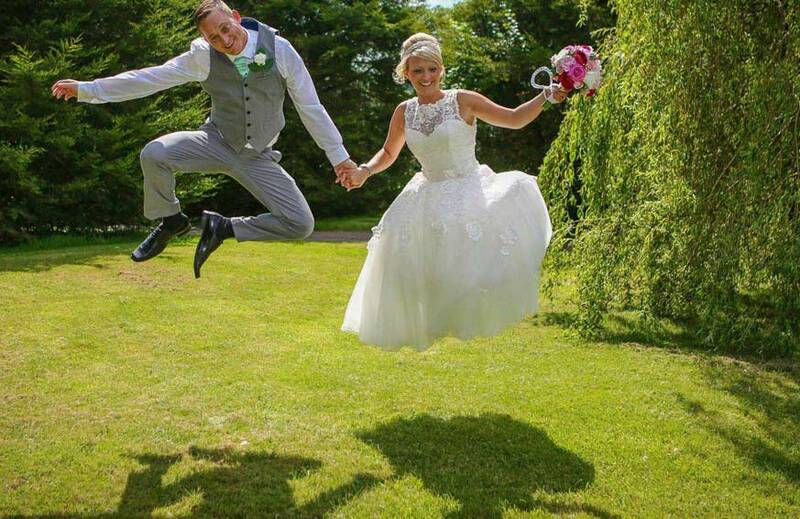 If you are looking for a wedding venue in South Wales that has charm, beauty and all the other things you need for your perfect day we can honestly say that the Hogs Head near Abergavenny is ideal. Dale and his family are also the perfect hosts. Thanks so much for all you did for us. 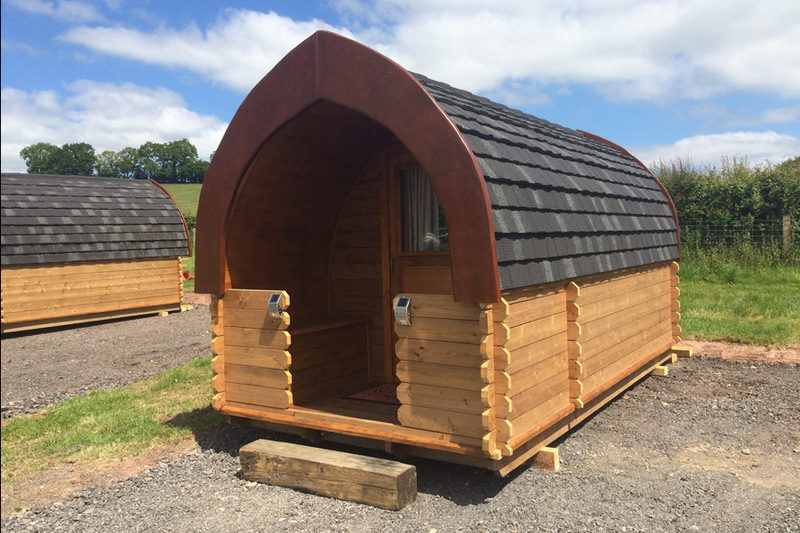 Our new outdoor 'Hog Pods' offer a place to sleep. We have 4 in all. 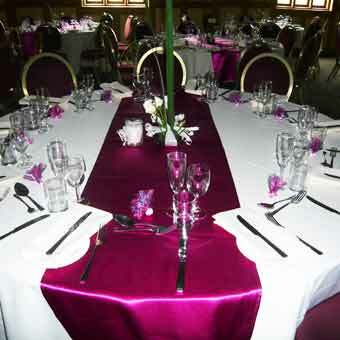 Our main hall is spacious and can be decorated to your requirements. 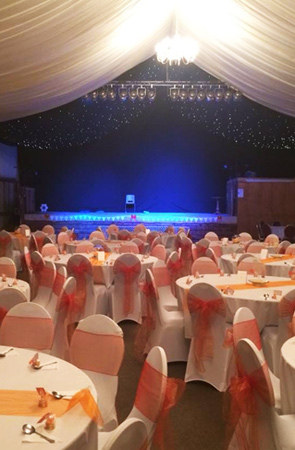 Our stage and dancefloor where you can strut your stuff! We have a good sound system and excellent acoustics in the main hall. 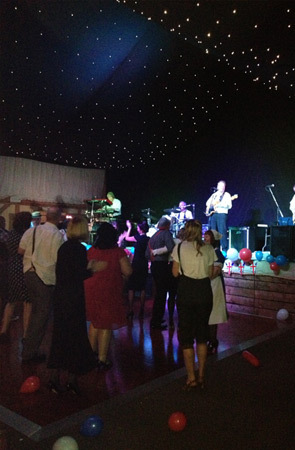 Our well equipped bar area, dancefloor and lighting rig. 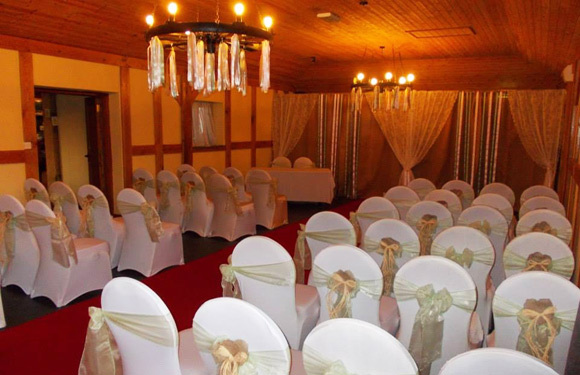 Our ceremonial room can seat up to 80 people. What dreams are made of. Let your imagination run wild! 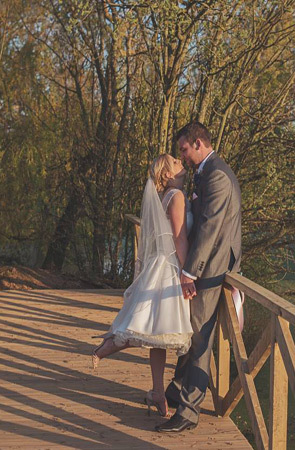 Capture the romance of the day on our beautiful pond bridge. 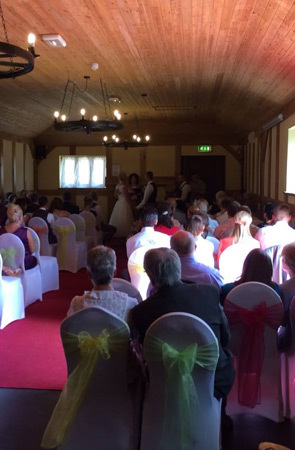 The Hogs Head is available for Weddings, Birthdays and other events. 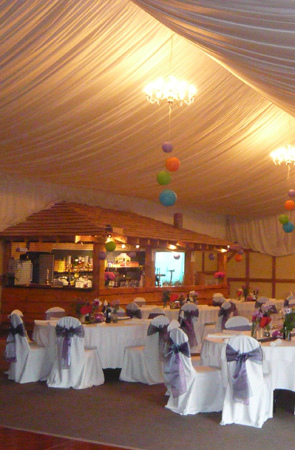 The Hogs Head Pub can lend itself to any type of event. 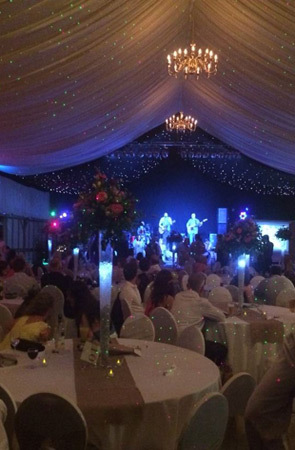 If you have some kind of celebration you would like to hold at our venue why not get in touch with us to discuss it..
As well as weddings we have catered for birthday celebrations, live music events with live bands as well as charity events and wedding fairs. 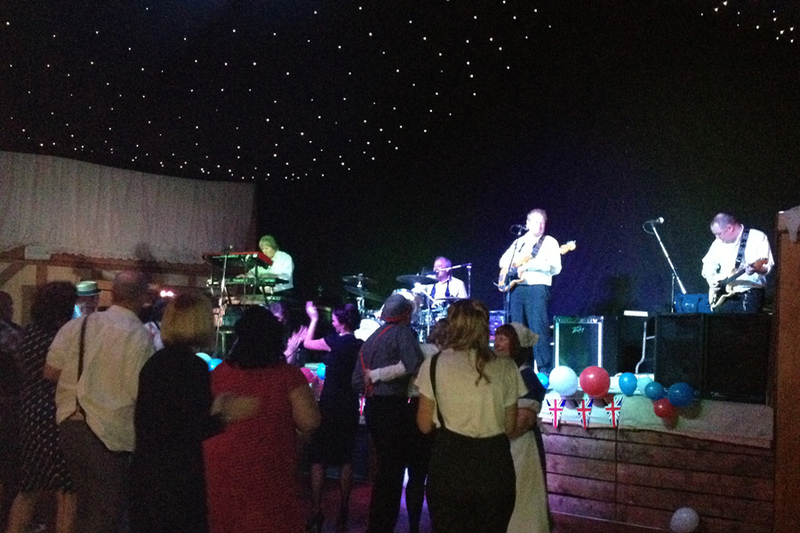 Whatever your needs, all elements of your event can be tailored to suit your specific requirements. Photograph by Adrian Reilly photography.